The technique for making autoradiographs with stripping film is described in detail. Methods for administering P32 to plants and for preparation of tissues for autoradiographs are given. Two different methods, enzyme digestion and acid hydrolysis, which were used for separating RNA, DNA, and phosphoprotein in tissue sections, were compared and evaluated. Although either method is valid for quantitative work, precautions are necessary and certain limitations to the quantitative separation of RNA and DNA should be taken into account. More work is needed to properly characterize the products extracted during enzyme digestion and acid hydrolysis. Incorporation of P32 into nuclei of lily anthers was studied by the autoradiographic method at all stages from premeiosis to mature pollen. 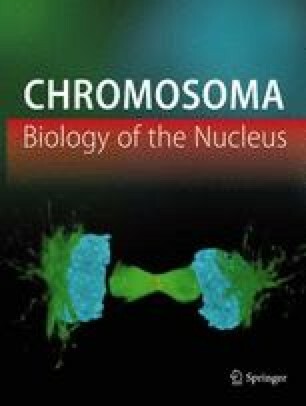 A quantitative comparison of the amounts of P32 extracted by RNase, DNase, Feulgen hydrolysis and hot TCA showed that incorporation into DNA occurred at relatively short periods during interphase, namely: (1) at preleptotene before meiotic prophase in microsporocytes, (2) at late interphase preceding mitosis in the microspore and (3) during early to mid-interphase in the generative nucleus of the pollen grain (the tube nucleus incorporates P32 slowly during the same period but this P32 was not definitely identified as DNA phosphorus). Two successive mitoses occur in tapetal cells while the microsporocytes are in meiotic prophase. In the interphase preceding each division incorporation of P32 into DNA occurs, but following the second mitosis no further divisions or incorporation was detected. However, during this latter period incorporation into RNA and phosphoprotein reached the highest level detected at any stage. During the period of DNA synthesis, incorporation of P32 into RNA was low or absent, but in the interval between the cessation of DNA synthesis and prophase the incorporation of P32 into RNA of both nucleus and cytoplasm reached its peak. Microphotometric determination of amounts of DNA (Feulgen stain) showed that the amount per nucleus remains constant in all stages, except for doubling during the periods when P32 is incorporated, and the reduction by half at each division of a nucleus. The 2C amount is present in sporogenous nuclei until preleptotene when values intermediate between 2C and 4C are found. By the beginning of leptotene 4C is present in each microsporocyte nucleus. The amount does not change through meiotic prophase. Each nucleus after the first meiotic division contains 2C and each nucleus of the quartet of spores has 1C. The amount per nucleus in microspores doubles toward the end of the long interphase prior to prophase. After the mitosis in the microspore, the generative nucleus attains the 2C level relatively early in interphase. The vegetative nucleus has 1C in the interphase immediately after mitosis, but could not be accurately measured at later stages. Tapetal nuclei have the 2C amount of DNA when the microsporocytes are in leptotene. The amount doubles while the microsporocytes are in zygotene and the first mitosis usually occurs while the microsporocytes are in early pachytene. Another doubling occurs during the relatively short interphase and a second mitosis occurs when the microsporocytes are in late pachytene or early diplotene. The 4C class was typical for tapetal nuclei at later stages, but this may, in some cases at least, result from fusion of nuclei in the multinucleate cells during or following the second mitosis. The periods of DNA increase (measured microphotometrically) coincide very closely with the periods of incorporation of P32 into DNA. This finding supports the concept of the stability of the DNA molecule, and indicates that incorporation may be used as a criterion not only of synthesis of DNA, but also of increase in the amount of DNA per nucleus. The investigation was supported by a grant to Columbia University from the Atomic Energy Commision, Contract AT (30-1)-1304, and by a grant from the Higgins Fund, Columbia University. Microphotometric equipment was made available through the courtesy of Dr.A. W. Pollister, Zoology Department, Columbia University. Technical assistance was provided byMaria F. Caluya andSandhya Mitra.